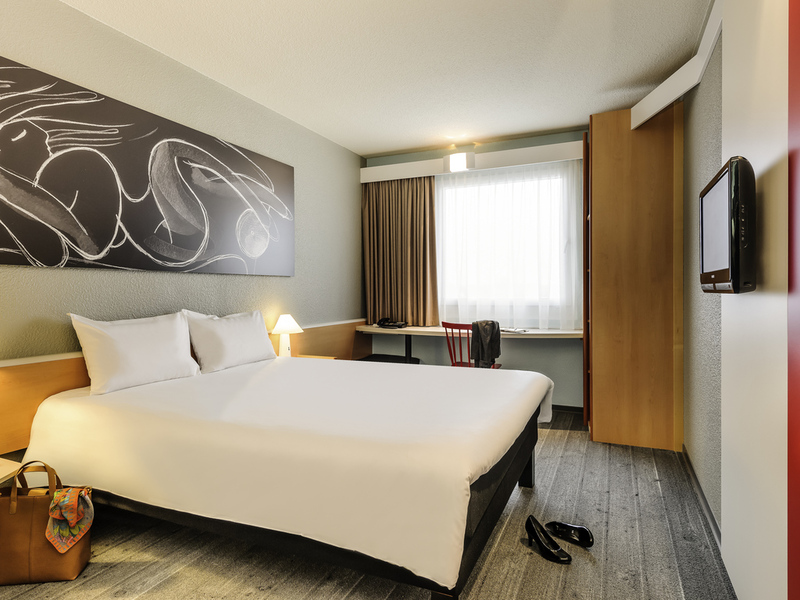 The 2-star superior hotel ibis Hannover City houses 125 comfortable rooms, all of which are equipped with modem and Wi-Fi Internet access. Our multilingual reception staff is available 24/7. In addition to newspapers and magazines, our drinks and snacks service is also available around the clock. The hotel has children's play area, secure parking and free Internet access in the lobby. A varied breakfast, which is served between 4am and 12 noon, completes our service. After a busy business day or a day of sightseeing, you'll love the level of comfort in your room and enjoy the comfortable bed that much more! All 125 rooms are soundproofed, have free WIFI and TV with a wide range of Sky channels.